John Legend recently stopped in at The Tonight Show to spread holiday cheer with a medley featuring “What Christmas Means to Me” and “Bring Me Love” off his A Legendary Christmas album. The 39-year-old opened by chatting about Crow: The Legend – a virtual reality short film in which he plays the leading character alongside celebrities including Oprah Winfrey and Constance Wu. 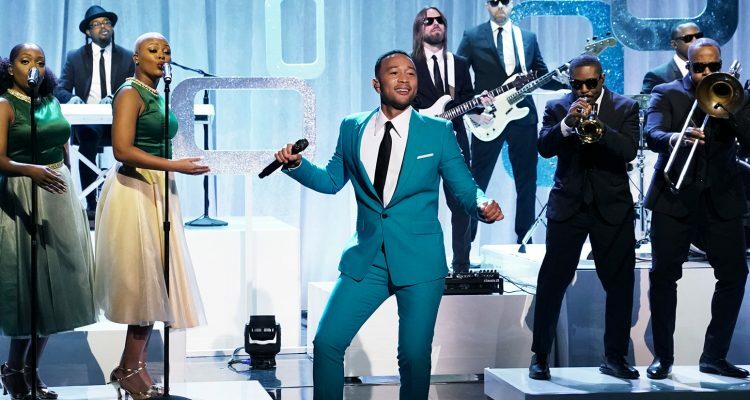 For his performance, the recent EGOT recipient wore a green suit and was backed by a set washed in winter colors. Watch the performance below.